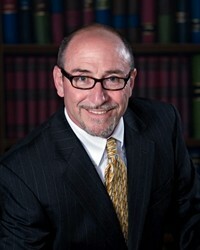 Scott graduated in 1982 from the University of Rhode Island with a degree in Business Administration, majoring in Finance, and has been involved in the financial services industry for over 27 years. In September of 2007, he partnered with his son, Branden Findeisen, with the idea of eventually creating Findeisen Wealth Management Group, LLC, a comprehensive wealth management firm. Through Mr. Findeisen's extensive experience, he has achieved an expertise in comprehensive risk management; particularly life, health, and long-term care insurance. However, Scott is also a registered Investment Advisor Representative with over $60 million in assets under management as of 2010. His clients include some of the area's leading entrepreneurs and businesses with complex retirement, investment, insurance, and estate planning needs. In July of 2010, after 26 years as a New England Financial advisor, and after a long and conscientious analysis of the industry, Scott and Branden made the decision to affiliate with 'up and coming' independent broker/dealer Parkland Securities, LLC based in Ann Arbor, MI. After nearly a decade of researching independent firms, Scott had come to the conclusion that in order to appropriately align the advisor's incentives with the client's best interests, he would need to establish an independent practice, free of the proprietary product selling requirements of other companies. Sammons offered Scott and Branden the opportunity to have full ownership and creative-control over all aspects their practice, while providing reliable back-end support and a network of high-quality professionals around the country. Scott, a lifetime resident of the Hopkinton area, resides with his wife Cindi in Hope Valley, RI. Their son Branden, also lives in Hope Valley along with their youngest daughter, Terren. Their oldest daughter, Britney, works and lives in Stamford, CT. Scott is a member of the Lake of Isles golf club in North Stonington, CT. He is also a former Hopkinton Town Councilman (1986-1988) and is a member and occasional lector at the Our Lady of Victory Church in Ashaway, RI. Scott and Branden are both members of the Westerly/Pawcatuck Chamber of Commerce. Branden graduated in 2007 from the Boston University School of Management with a degree in Business Administration, majoring in Finance, and has been involved in the financial services industry ever since. In September of 2007, he partnered with his father, Scott Findeisen, with the idea of eventually creating Findeisen Wealth Management Group, LLC. 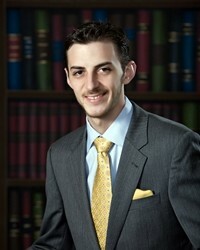 Since childhood, Branden has known that he wanted to be involved in the financial services industry someday. Through observance of his father, he has been very fortunate to have witnessed first-hand many of the challenges facing advisors in today's marketplace. While Scott's strengths lie mainly in the area of risk management, Branden developed a keen interest in investment and portfolio management. Not only did this complement his father's strengths, it helped to give him a fresh perspective on the rapidly changing financial services environment. Branden was quick to notice the inefficiencies and growing ethical dilemmas that arose from being associated with a national agency focused primarily on insurance products. Many months of industry research and personal soul-searching resulted in creation of the aforementioned independent financial services firm, Findeisen Wealth Management Group, LLC. in July of 2010. Scott's experience in client development and risk management combined with Branden's focus on portfolio, practice management, and technology make for a well-balanced foundation to build a comprehensive wealth management firm upon. Since joining the firm, assets under management (AUM) have more than doubled to over $60 million in 3 years. Branden, a lifetime resident of the Hopkinton area, resides in Hope Valley, RI. Branden is a participating member of the Fairway Foundation, a non-profit organization that seeks to provide adaptive equipment for local children with special needs. He is a member of the Lake of Isles golf club in North Stonington, CT. Scott and Branden are both members of the Westerly/Pawcatuck Chamber of Commerce.